When was the Last Successful On Track Pass for the Lead at the Monaco GP? Monaco is not a racing circuit. By definition a F1 racing circuit requires passes or at least some side by side racing. Following the leader, it’s more along the lines of a high speed traffic jam. Monaco is a narrow stone-age, street circuit traffic jam. I think you have to go back to the 80’s or 90’s to find the last on track pass for the lead. In 20-30 years, we have not seen as pass for the top spot on the podium at the biggest event on the F1 calendar, that’s crazy. Despite all the technology advancements to improve passing in recent years, it hasn’t helped at Monaco. We’ve added DRS, KERS and increased passing by some 300% at the other tracks, yet drivers still can’t get by at Monaco. 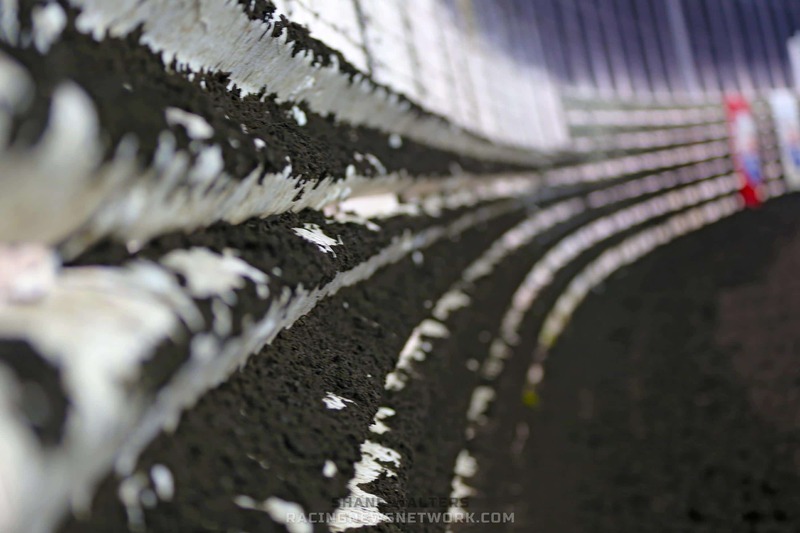 In order to make a pass you need to touch, touching is a sin punished by fire in the world of F1. It’s not just the top spot either. In the last 10 years I honestly don’t believe I’ve seen a single on track pass in the top 5 positions, not one pass. Sure, I’ve seen many passes during pit stops. I guess that’s the only way to pass in Monaco. Qualifying is the peak of excitement for me this weekend. The race is won in qualifying. As a racing fan, I’m far less entertained from that point on. 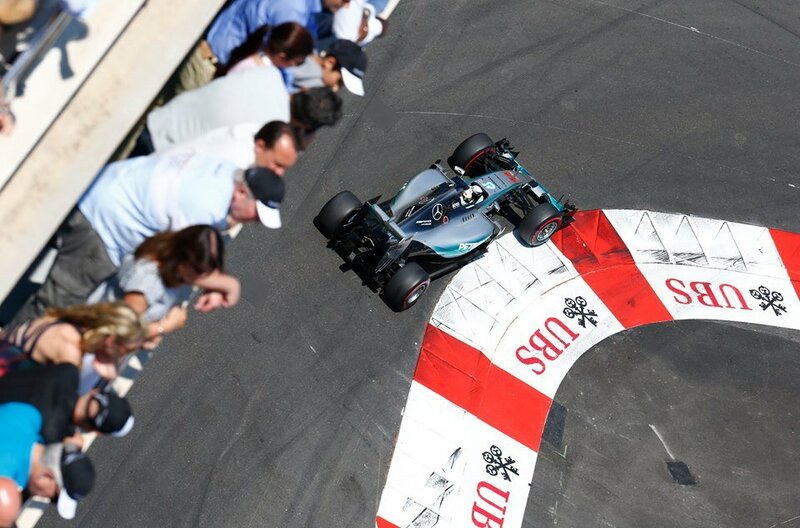 You risk your car and your life to make a pass at Monaco. The barriers are right next to the track, “the drink” is just on the other side of that. Safety was brought to our attention in the last decade or two of F1, but Monaco has no room for improvements. It’s truly an unsafe place to drop in some rocket ships on wheels. I’m not sure why F1 goes to Monaco. It’s not good for the sport. It’s the most watched race of the race, which means the Monaco GP catches the eyes of many people who watch casually as well as many first time viewers. Monaco doesn’t help at all for retaining these viewers and converting them to fans. They must think we just watch cars follow each other in circles. I’m a huge fan but this race is my least favorite on the F1 schedule. It’s more of an off track show. A-list celebrities walk the paddock with sunglasses. Camera’s flash as the celebrities gaze at the “Indycar’s”. Or so they think. After all, they aren’t racing fans, for all they know it’s an Indycar. Most of them are there for the press and the party. 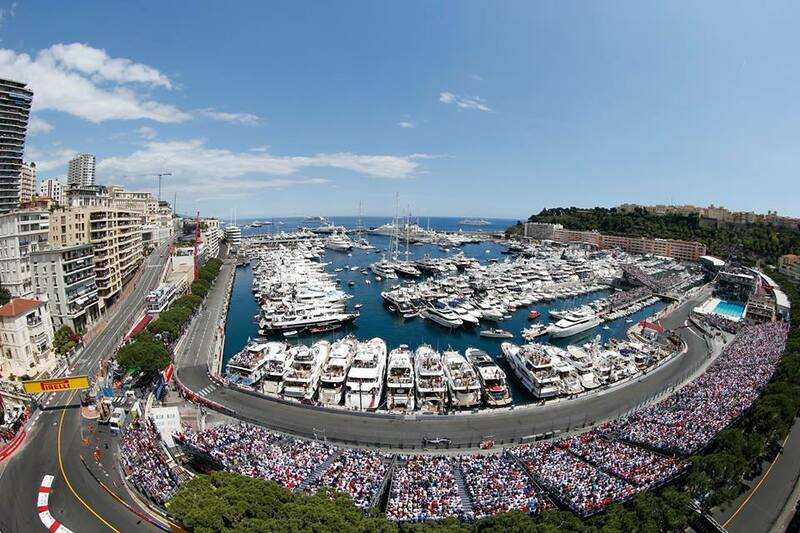 The wow and glamour factor of the Monaco GP doesn’t impress me. I’m not into celebrities, I’m into motorsports. Change or die. The track is a Dinosaur, virtually unchanged in decades. It’s time to move on. The track can’t by modified and F1 has no business on a one line hillside road. I’m a racing fan, where’s the racing? 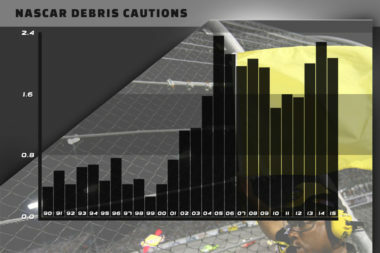 NASCAR debris cautions have spiked since 2005, more than tripled. It’s no secret that a lot of the imaginary NASCAR debris cautions have been used to manipulate the race. It’s purely a poor attempt to make the races more exciting via phantom debris that only the NASCAR officials can see. So, let’s fix it. 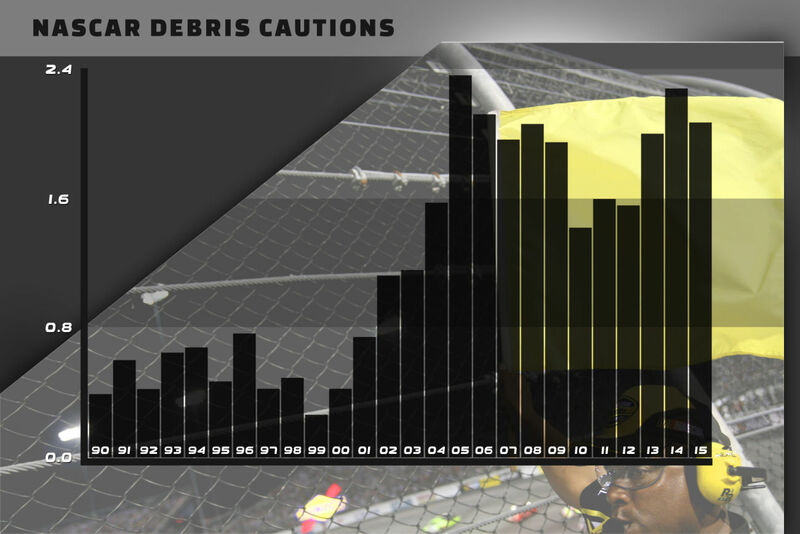 In 2000, the number of debris cautions thrown was .4 per race. Basically one debris caution every two races. 2015 is a much different picture. 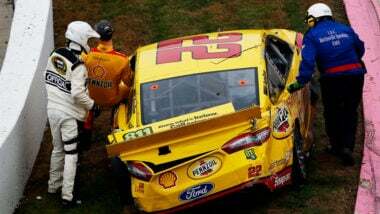 The average NASCAR debris cautions per race in 2015 was 2.0. That’s a massive increase to 2 debris cautions per race. So what’s changed? In 2003, Brian France took over as chairman and CEO of NASCAR. Since that time debris cautions have more than tripled. As you can see from the NASCAR Debris Cautions chart posted below the caution numbers tell a story. There’s a certain shift in the chart right at the point Brian France took over. Part of the increase in NASCAR caution flags for debris is simply a safety mechanism. All forms of motorsports have been pressured to make the sport safer. F1 driver Felipe Massa hit a 2 lbs spring in Budapest a few years ago. That put him in the hospital for quiet awhile. That was an open cockpit situation and NASCAR has enclosed cockpits. 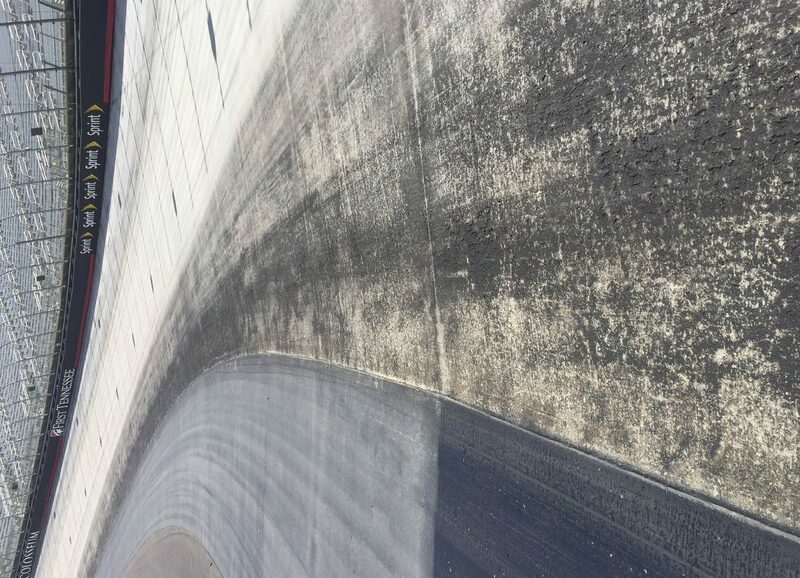 Even with enclosed cockpits, debris on the track certainly isn’t safe. Especially a piece of actual physical debris. I understand that and I don’t really dispute it. 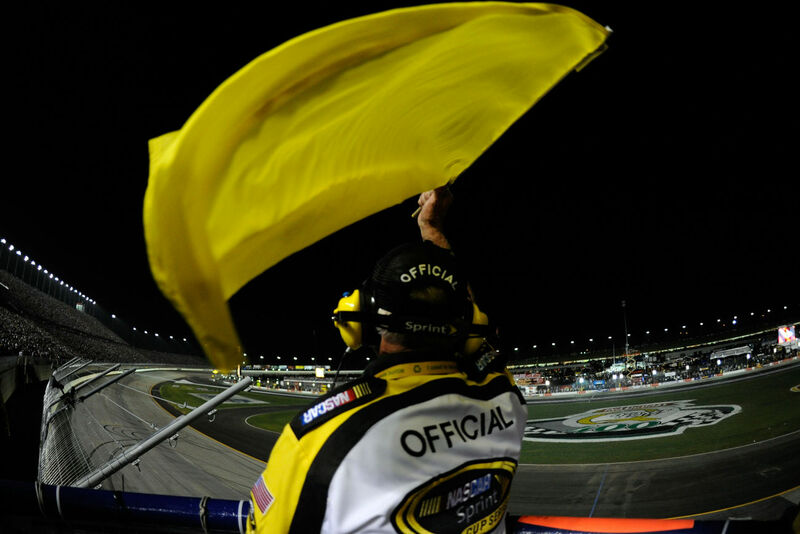 The only exception being a yellow flag for a paper napkin or 200mph tape, which we see often. However, what I do dispute is a consistent number of these cautions for debris coming toward the end of the NASCAR event. 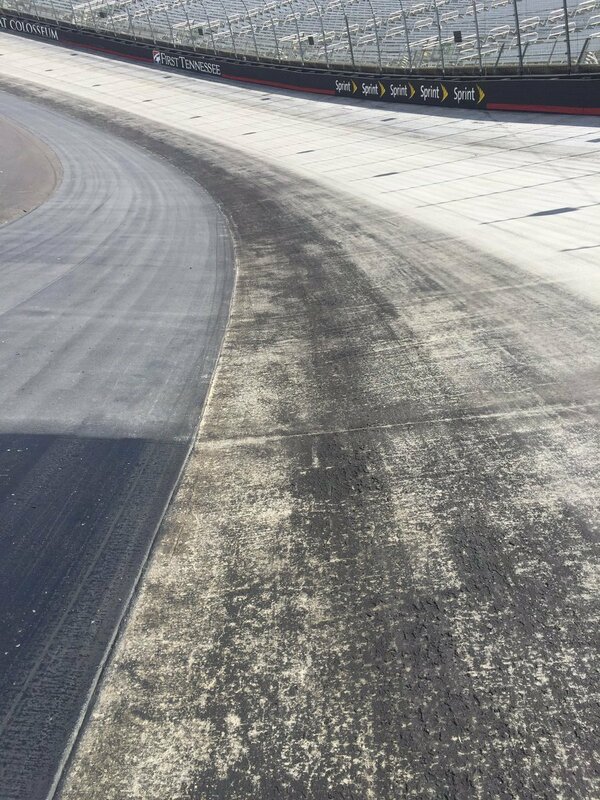 If the same piece of debris is laying on the track for half the race why are we waiting until 10 laps to go to remove it? 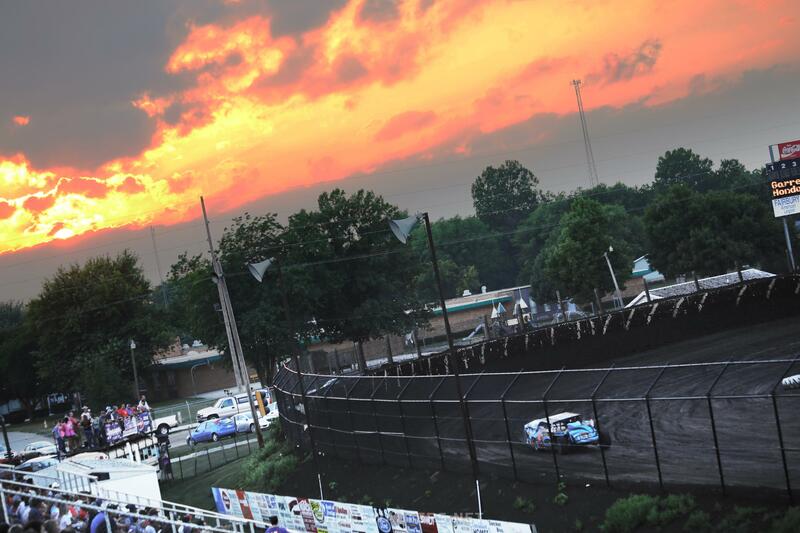 It’s simply an excuse for throwing a caution to bunch the field up. They want to create a short track shootout scenario. NASCAR Executives want to make the races more exciting. That’s fair enough but this isn’t the way to go about it. If there’s really debris on the track, remove it. Don’t wait until 10 laps to go to remove it. Sometimes the plan for an exciting finish backfires entirely. 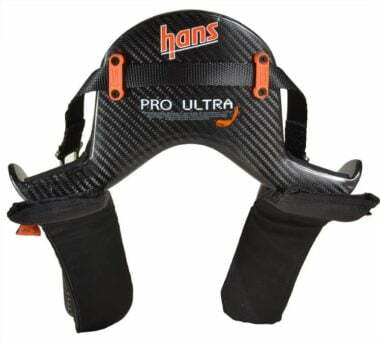 Such as the case during the NASCAR finale at Homestead-Miami Speedway. 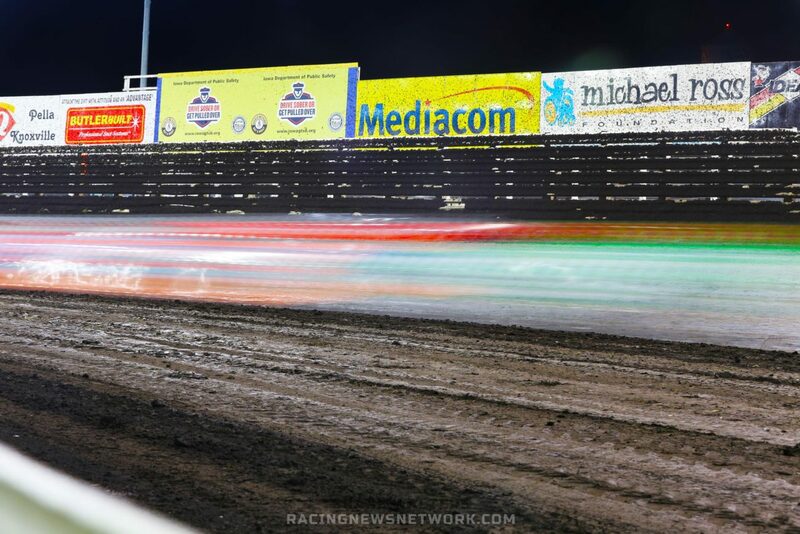 Kyle Larson had been running inches from the wall, banging the right side against the wall. Larson was faster and desperately hunting down Brad Keselowski for the lead and his first career NASCAR win. He had just passed Kyle Busch for 2nd, he was coming. It was going to get very exciting. Yes! This is what we all hope for, a great race at the finish… Caution for debris. The certainty of a great finish was thrown out the window. The debris wasn’t anywhere close to the racing line either. So why? The answer is simply NASCAR wanted something different at the front of the field. Kyle Larson was only fast on old tires, when the high grove was in it’s prime. With that caution the fast cars would transition back to Brad Keselowski and Kyle Busch. I’m not going to speculate on who NASCAR wanted to win that race but it wasn’t Kyle Larson. This isn’t the right way to go about making the races more exciting. NASCAR shouldn’t be the one to dictate who runs up front via imaginary debris or debris way off the racing line. Days of practice and who tuned their car the best should be what determines who runs up front. If that’s what they really want NASCAR officials have other options. I’m not just here to complain about the sanctioning body and point out the irritating and blatant race manipulation. I’m also here to offer a better solution. The first solution… is to cut the races in half. A lot of fans will strongly disagree with cutting the race distance in half. They would be outraged, as they are now just reading the idea. Another NASCAR boycott wouldn’t help short term. However, I could argue that by making the races much shorter we’d have a larger fan base in the future. Shorter races would strongly increase the chances of the younger audience giving their time to watch the event, becoming a fan. The future of the sport is under the thumb of NASCAR ability to grab the attention of a new generation. These races are too long and people don’t have the attention span for 4 hour races anymore. The first 1/2 of these races the goal of drivers is simply to survive. We hear often, “It’s too early to be racing him that hard.” What? Why exactly aren’t we racing hard every lap. That sure sounds like things could certainly be improved to make the race as a whole more exciting. The other problem with the first solution of shorter NASCAR races is TV advertisements. Networks will have less time to air the precious commercials that we fast forward through, like really fast. The problems don’t stop there with solution one. Another issue is the high priced sponsorship dollars put into these teams. The ROI with racing sponsorship is dependent on TV exposure. 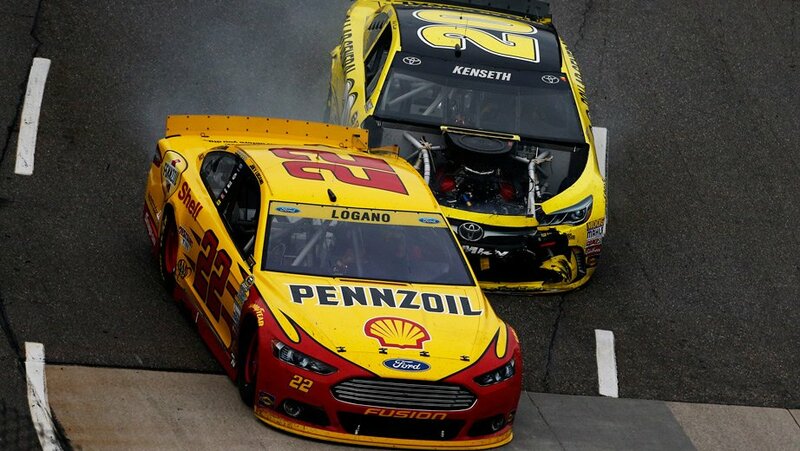 The NASCAR team sponsors will suddenly have their TV exposure cut in half, that’s an issue. Teams are already scrambling for sponsorship dollars, shorter races might mean a sharp decline in their rate cards. Short term, shorter races would certainly hurt the sport. However, I believe shorter races would pay dividends 10 years down the road. Brian France has discussed the idea previously. While I think this is one solution it doesn’t exactly mean the end of the race will be exciting. What we want is the final ten laps to be nail biters, all the time. The second solution… is to issue a mandatory caution with 10 or 20 laps to go. This idea I really like. It’s basically what NASCAR has been doing on a regular basis since 04-05 anyway. The difference is it’s not a caution for imaginary items on the race track. NASCAR also wouldn’t be giving one driver or another an unfair advantage. Every driver would know a caution is on the way, it’s fair. It would create the exciting shootout scenario NASCAR is looking for. It would certainly make the end of the 4 hours races more exciting. It would also lift NASCAR criticism of phantom debris cautions. NASCAR officials could get back to throwing debris cautions for actual real life debris, as they should be.